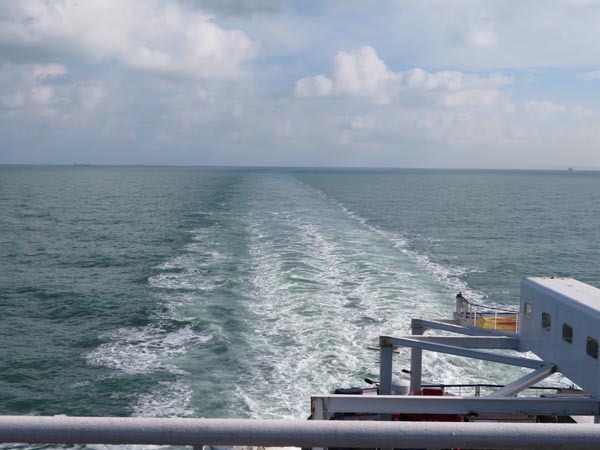 Well, there it is… the last sight of France (and mainland Europe). It ends up as nothing more than a smudge on the horizon, a bag of memories and a whole load of trouble. When I left for Normandy on the Monday, I was concerned that I wouldn't be in place for what could have been the turning point in the entire Brexit negotiations. But I need not have worried. Nothing has been decided, there are no bankable developments and uncertainty still stalks the land. Nonetheless, now that I'm back, I can pull together the various threads and conduct a detailed analysis of what appears to be not very much, other than a huge opening for unending speculation. I'll make a start with tomorrow's post.